← Who Says Inverters Don’t Save Energy on Archimedes’ Screws? After visiting a Tarmac quarry to carry out minor ancillary works, IDS Service Manager, Andrew White, advised the client that the 9-year-old ABB ACS800 drive that control 2 Crushers should be serviced. These drives control Crusher 2 & 4, which are responsible for half of the production at the Tarmac site. Considering this advice, the client asked IDS to provide a quotation for a service and maintenance agreement; and we were soon awarded the contract. The Service was conducted on a Saturday and Sunday to avoid disruption of production at the site. Because of the size of these drives we sent 3 engineers to conduct the maintenance: Mark Elston, Mike Whitmarsh and Andrew White. 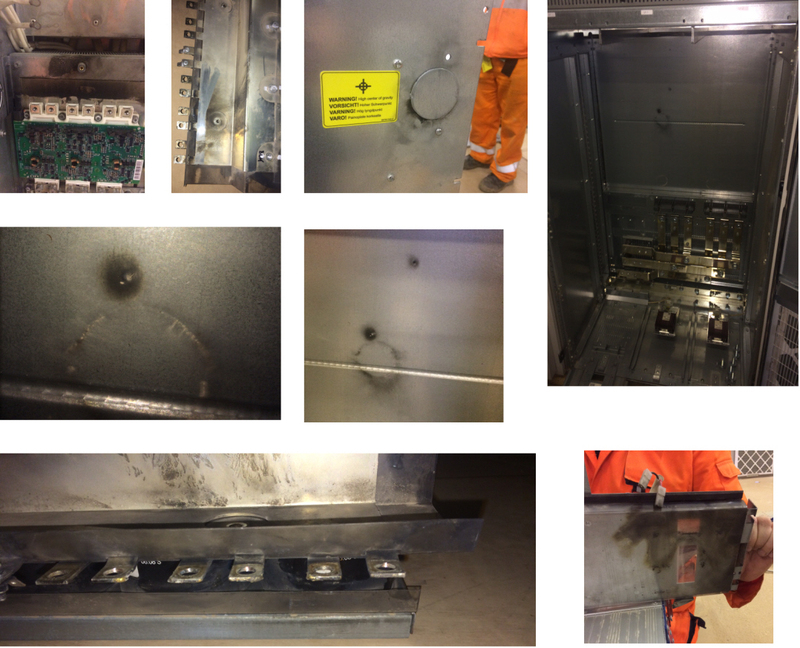 When the IDS Engineers took the Crusher 4 drive apart, to fit some preventative maintenance components (capacitors), they noticed that there had been tracking in the drive to the casing of the cabinet that the drive lives in. The drive was touching earth at 1,400 volts! By spotting the track and being able to rectify the situation we saved the client an estimated £70,000 which is what it would cost to replace the variable speed drive. Of course, the client would have suffered additional expense as without these Crushers operational, they would lose half the production of the site until a replacement was fitted. We are recommending the client purchases an ISU spare module and we will be including this in our next annual service agreement quotation. There could still be an issue with this module and so having a spare ISU onsite makes sense.